Finally, breathing "normal" again. I have hired a Cleaning Svc to come in and deep clean my home. You could write your name in the dust/pollen. I tried but started coughing again. I have been dealing with Bronchia Asthma since last Nov. 2 rounds of Steroids and I am now on a Nebulizer 3x a day. Bah Spring! POSTCARD: For you: I read your Profile to try and send something you want. So, please, give me a hint at what you want. For me: I love State or Country PC; Map PC- . I like mine with a note/quote/recipe please & postmarked unless the swap sez differently. I love TOURISTY PC the best. Not really into the Vintage.^Thank you! Christmas Card Request: Please don't write on the back of the front of the card-so I can re-use for other Swap projects. Thanks and Merry Christmas. 9 Jan Wed: Traded my Leased 2018 Honda Civic in and bought a 2019 Honda Fit. BUTTONS: I love all kinds of buttons. Would love to get more Dogs, Cats and Novelty type. FAVORITE CHRISTMAS RECIPE: Try it once and let me know what you think! Preheat oven to 300 degrees. Generously grease a 9 inch Tube pan (here is where I coat with Sugar not flour) Sift together flour & Baking Soda; set aside. In large bowl, combine remaining ingredients; blend in dry ingredients. Pour into prepared pan. Bake 1 hour-15 minutes. Cool 15 minutes. Turn out pan. Garnish as desired-I sprinkle with Powdered Sugar. TIP: When cooled thoroughly; wrapped in aluminum foil; refrigerate or freeze. *I have a 6-part individual fluted pan that I use which is great for Gift giving. Hey, checkout the following: www.paperbackswap.com or just let me know if you want a list of what I got available. 250 BOOKS listed-Will Swap for other books or craft supplies. THANK YOU to ALL Swap-botters who follow through with sending and rating. I try to rate as soon as I receive but since I am in as many as 10 Swaps at one time and Host a couple, when the reminders come in after the two week deadline, if I have not heard from you, I rate a 1 with a note that I will change when received. If you get a 1 and you did send - Please let me know. I will fix ASAP. Now for all you wonderful Swap-botters who read the Profiles and still don't know what to make or give- Just PM and I will give you more info relevant to that particular Swap. ABOUT ME: I am now RETIRED as an Administrative Assistant/DATA Technican-fancy TITLE for Secretary) at the Marine Corps Base, Quantico, Va-18 years. Before 19 years, I was with the Dept of the Army at Aberdeen Proving Ground, Md; Ft. Monmouth, NJ; and Ft. Belvoir, Va. BELIEF: I am a Baptist. I attend Bethel Baptist Church in Bethlehem, GA since 2016. Small church-about 40 active members. I am very active - so much more since I retired. I was baptized when I was 9 years old. I did attend other churches to learn and at 38 years old recommitted my life to the God of my understanding. I am making a daily effort to study and learn. Every week, I learn something new and /or understand and have the WOW moment. FAVORITE JEWELRY: Anything w/August Birthstone (Peridot), Hearts, Crosses, especially Holiday themed Earrings. Not to big, OK. I like to make Earrings, Pins and Altered Bottle Caps. CRICUT: I have a Cricut and I love it. I have made Christmas Cards, Valentines Cards, Bookmarks and Tags. FAVORITE MUSIC: I love both kinds of music - country and western!! Ha!Ha! for those who remember the Blues Brothers. Garth Brooks is my favorite Male Singer and Reba McIntyre is my favorite Female Singer. Heavenly Singers are ELVIS and Patsy Cline. FOR BOOK SWAPS-IF YOU CAN SEND HARDBACK OR LARGE PRINT, I WOULD APPRECIATE IT. I AM HAVING A HARD TIME READING THE SMALL PRINT. FAVORITE MOVIES: Aquaman/Jason Momoa!! Elvis Presley in Blue Hawaii, anything with Arnold S- got to love a man with muscles & attitude. I really enjoy action films with John Travolta, Nicholas Cage, Sylvester Stallone, Chuck Norris, Jason Stratham, Jack Hughman and ARNOLD!! FAVORITE TV: Dancing with the Stars-I have never missed an episode. CSI, NCIS, Criminal Minds, The Big Bang Theory, Blacklist, Blindspot, This is Us. I am a TV addict. GREETING CARDS: If there is a choice - I would like handmade (I keep a Scrapbook for ideas) but if you cannot make one than the store bought will be just fine,of course, it will probably get recycled into a another card, postcard or ATC... LOL! RECIPES: Anything with Jello:-) gelatin or pudding. Also Love my Crockpot. TEAS: Any kind of Decaf and/or Fruit flavored or Citrus. No more mint-got to much. SPECIFIC WISH: I would like your PLAYING CARD-Jokers only. LIST OF THINGS I WOULD LIKE/WISH LIST: Although I love being SURPRISED. It was suggested I add a few items. Anything Snowman/Snowflakes, anything Chihuahua or Dachshund,(Siamese) cat or regular cat , Keys, Earth Day(recycling related), any color (material, paper, ribbons, buttons, Bling) Specialty/Handmade paper. SOMETHING ELSE: I am an avid recycler since the first Earth Day! I believe Reuse, Reduce, Recycle and REGIFT:-) and now Re-purpose. Comment: Any envelope with a coffee motif is a friend of mine. Your list was so fun on the church bulletin like papers. Super fun! I loved your list and your heart of gratitude. Comment: You sound like you have many wonderful things in life to be grateful for! I think that's awesome. Your list looked professional! Very impressive and I loved the bookmark. Thank you! Response: Thank you for the comment and Heart. Comment: You've been to a lot of cities! And we only have new York in common! What ward your favorite? Response: Hawaii-so beautiful-flowers everywhere and the weather was awesome. Comment: Beautiful mountain pc - thank you! You've been to a lot of different states, even Hawaii - very cool! Comment: Thank you for your answers! Also for the cross bookmark beautiful! Comment: Thank you! I look forward to reading this book. Comment: Thanks for the Mississippi card! Comment: What a lovely quote! Thank you for sharing! Good to swap with you again! Comment: Thank you for the awesome pc! Response: Yes, that is something I stir clear of also. Comment: Thank you for the beautiful card! I loved hearing about the history of the area! Comment: Thanks for the nice PC and list. I like your list... yum! A lawyer, I didn't know that. So often we learn of historic figures and what they did to become such, but never know what they did with their 'real' lives. Comment: Thank you for the cute card Linda!! I love that we both have dachshunds :) They really are the best. Comment: Thanks for the PC and the good quote. Welcome to Email friends! It's great to have you here! ESG: Quick Friendly profile comment: wendrfl Hi Linda! 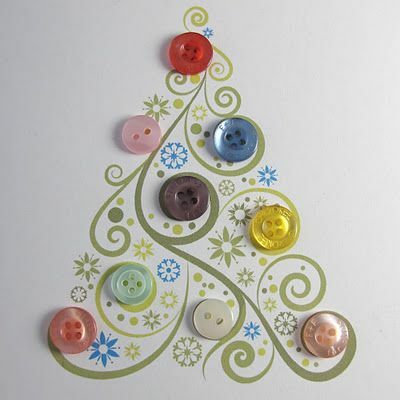 I hope you had a wonderful 'button' crafting Christmas season. There are so many cool things you can do with buttons. I can understand the mail backlog at Christmas but it must be kind of cool living in a town named "Bethlehem". Hey there! Hope you're doing well today! I really love that fruitcake recipe you listed here. I'm always leery of fruitcake, but your recipe sounds tempting. And now, let me offer a kind of recipe in exchange, since I see you like Jello. This is actually household illness remedy we use. It's really good for when you have a sore throat, but we pretty much use it anytime we feel sick at all. It may be a placebo effect on the illness, but I don't care. Heat water hot enough to drink without scalding mouth/throat. Add 1/4-1/3 pkg of lime or lemon Jello to a mug and add the hot water, stirring until dissolved. Drink and repeated as needed. Have a lovely day and rest of 2018! p.s. please remember to rate once you have received.